Departure from the ship to Ephesus, the city dedicated to Artemis. Visit the ruins from the period of St. Paul, the Odeon, the Monumental fountain, Temples, the Library, the Great Theatre and the Double Church. Lunch. Visit the Archaeological﻿ Museum and St. John’s Basilica and his Tomb, the Temple﻿ of Artemis one of the Seven Wonders of the World and the Shrine of Virgin Mary, where she spent the last years of her life. Return to the ship. 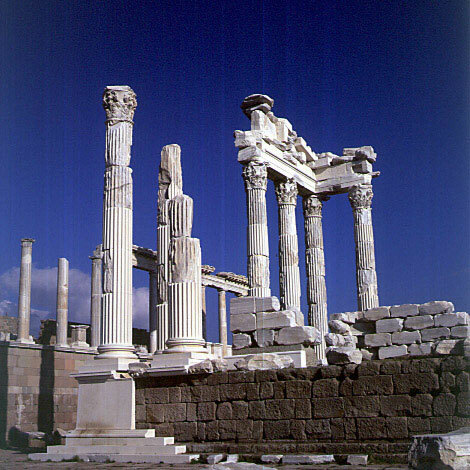 Pick up from your boat in the morning and off to the ancient site of Pergamum . You`ll visit the Asclepion and Health Centre and,on your way to the Acropolis, the Red Basilica, originally a temple of Serapis. The most spectacular structure is most certainly the theatre, a remarkable piece of engineering built into the steep hillside. Departure from the ship for Priene, the first planned city of the ancient world. Visit the Theatre, the Temple of Athena, the Prytaneum, the Agora, the Altar of Zeus and Cybele. 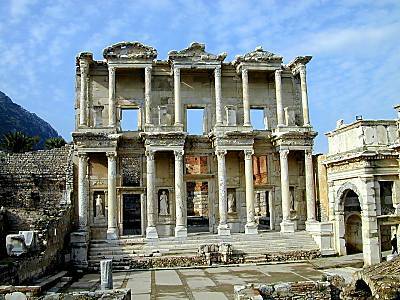 Then, we'll head to Miletus﻿﻿, one of the principal Ionian cities and home of Thales, twice visited by St. Paul. Visit the Byzantine fortress, the theatre, the Nymphoion, the Bouleterion, the Faustina Bath and the Ilyas Bey Mosque. 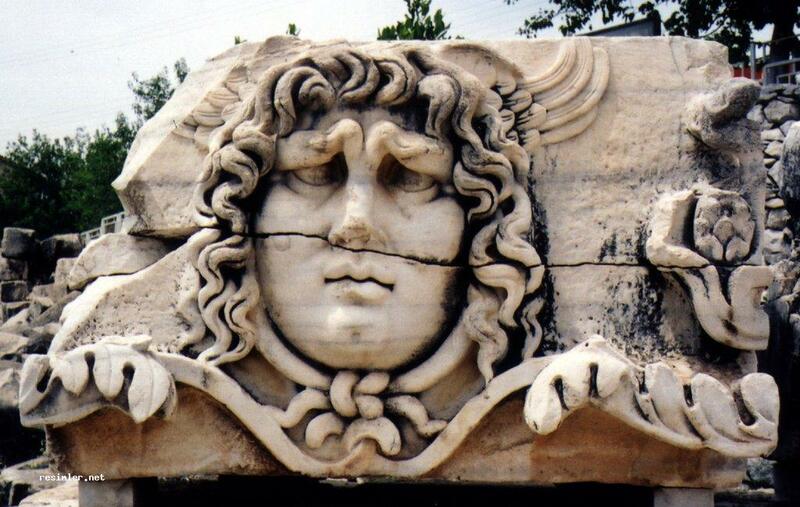 We'll finish with Didyma and visit the best-preserved temple of Apollo. Return to the ship. Departure from your BOAT in the morning to Pamukkale ( about 2 hour drive). 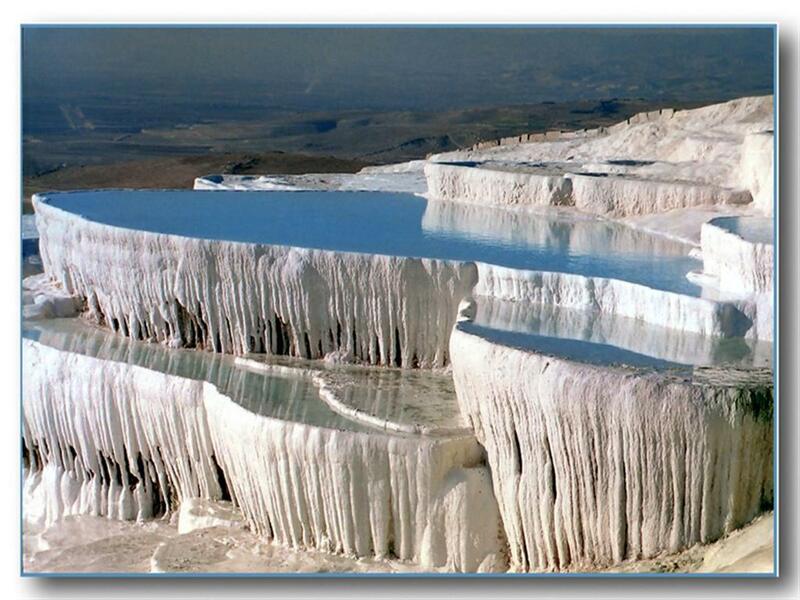 On arrival you will see the Cotton Cliffs, one of the natural wonders of the world formed by deposits of calcareous salts and visit the ancient ruins of the City of Hierapolis with its Basilica, theatre and Roman Baths.